We are able to undertake solar inverter repairs and replacement work on all manufacturers e.g. Fronius, ABB Power One, SMA, Solar Edge, Mastervolt, Zeversolar, Eversolar and all others. In October 2016 we became Fronius Approved service partners, having been accredited by them. This shows our depth of knowledge in PV systems and inverters. Solar PV inverters come with a manufacturers standard warranty, normally 5 years, others e.g. Solar Edge have a 10-year warranty with their system power boxes optimisers having a 20-year warranty. We would always check the warranty remaining on an invertor before starting any works on remedying/tracing a fault with a system. 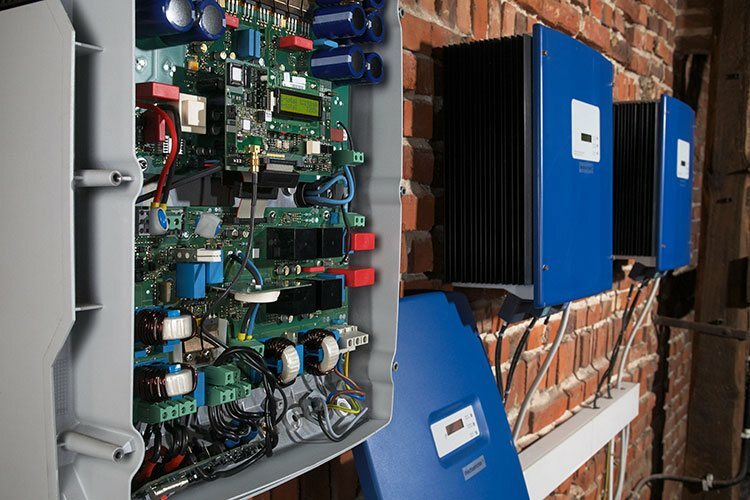 If the inverter was out of its warranty period C Gascoigne Ltd have the experience and knowledge to review the system design and offer the best cost effective solution to maintain the system in the longer term. We’ve put together a list of handy solar invertor common faults which can be seen here.